By design, a currency board, unlike a central bank, has no discretionary monetary powers and cannot engage in the fiduciary issue of money. It has an exchange rate policy (the exchange rate is fixed) but no monetary policy. A currency board’s operations are passive and automatic. The sole function of a currency board is to exchange the domestic currency it issues for an anchor currency at a fixed rate. Consequently, the quantity of domestic currency in circulation is determined solely by market forces, namely the demand for domestic currency. A currency board cannot issue credit. Accordingly, a currency board imposes a hard budget constraint and discipline on the government. This is an underappreciated feature of currency boards. Unlike central banks, a currency board can’t be used as a means to finance government budgets. Currency boards have existed in about 70 countries, and none have failed. The first one was installed in the British Indian Ocean colony of Mauritius in 1849. By the 1930s, currency boards were widespread among the British colonies in Africa, Asia, the Caribbean, and the Pacific Islands. They have also existed in a number of independent countries and city-states, such as Danzig and Singapore. One of the more interesting currency boards was installed in North Russia on November 11, 1918, during the civil war. Its architect was none other than John Maynard Keynes, who was a British Treasury official at the time. Countries that have employed currency boards have delivered lower inflation rates, smaller fiscal deficits, lower debt levels relative to the gross domestic product, fewer banking crises, and higher real growth rates than comparable countries that have employed central banks. To smash inflation and establish stability, a currency board for Venezuela would do the trick. Indeed, that’s why I proposed a currency board to Venezuela’s President Rafael Caldera when I was his adviser from 1995-96. The details of what I proposed then, and now, are contained in a book I co-authored with Kurt Schuler, Juntas Monetarias para países en desarrollo: Dinero, inflación y estabilidad económica, which was published in a second edition in 2015 by CEDICE in Caracas. Before proceeding, it is important to mention Argentina’s bout of hyperinflation that peaked in July 1989, particularly since the currency reform that crushed Argentina’s inflation is universally mischaracterized and misunderstood. To put an end to hyperinflation, President Carlos Menem -- with his right-hand man, Minister of Economy Domingo Cavallo -- established a new currency regime on April 1, 1991. They dubbed it a Convertibility System, an uncommon term for an unusual system. While Convertibility gave the superficial appearance of being a currency board, it was not a currency board. Most economists never understood that the Convertibility System was not a currency board system. Like currency board arrangements, the Convertibility System maintained a fixed exchange rate between the peso and its anchor currency, the U.S. dollar. That nominal anchor crushed hyperinflation and prevented inflation from rearing its ugly head. Indeed, the consumer price index at the end of 2001 was about where it was in 1994. By smashing inflation, Convertibility gave Menem the credibility he desperately needed to carry out economic reforms. Alas, the Convertibility System, after killing a hyperinflation and ushering in a decade-long economic boom, met its Waterloo in 2001. Just as I had anticipated in my 1991 Wall Street Journal piece, the Banco Central de la República Argentina (BCRA) used Convertibility’s deviations from currency board orthodoxy to engage in discretionary monetary policies. In the end, the BCRA did just what it had always done. It made a mess out of monetary policy and created a currency crisis. I know that currency boards work from, among other things, a great deal of personal experience in stopping hyperinflations—stopping them with the introduction of currency boards. One such case was in Bulgaria, when I served as President Petar Stoyanov’s adviser from 1997-2002. After Bulgaria took the exit from Communism in 1990, Bulgarians encountered some potholes. The economy plunged, there were debt defaults, and that Balkan paradise experienced an episode of hyperinflation. This episode peaked at an astounding 242% per month in February 1997. Yes, that’s per month. With the expectation that a currency board would be the best system to crush Bulgaria’s hyperinflation, I wrote a book with Kurt Schuler that was translated into Bulgarian. In late 1996, it reached the top of the best-seller list in Sofia. In January 1997, I became President Stoyanov’s adviser. My primary tasks were to draft a currency board law for Bulgaria, and to explain to Bulgarian politicians and the public how such a system would halt the episode of hyperinflation. Things moved rapidly. There’s nothing like a crisis to move the ball down the field. The currency board was installed on July 1, 1997, and inflation and interest rates plunged immediately. I can recall the genuine pleasure (perhaps relief, too) that President Stoyanov displayed when he congratulated me on the outstanding results produced during the first few weeks of the currency board. It was then that he confessed his hope that the currency board would kill inflation, but that he had reservations, and he was amazed when it worked even more rapidly than I had predicted. Much later, President Stoyanov confided that, without the stability created by the currency board system, Bulgaria would have had much more difficulty entering the North Atlantic Treaty Organization (NATO) in 2004 and the European Union in 2007. Today, Venezuela should do exactly what Bulgaria did in 1997. A currency board would make the bolivar sound—a clone of the U.S. dollar, the world’s most important currency. With that, inflation would be smashed within 24 hours and stability established. And, while stability might not be everything, everything is nothing without stability. 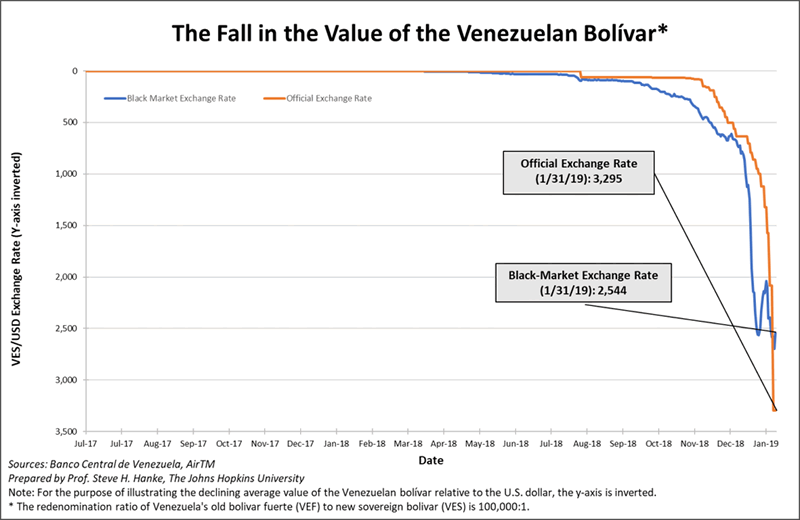 The political forces behind the introduction of a currency board would be seen as credible in the eyes of Venezuelans. 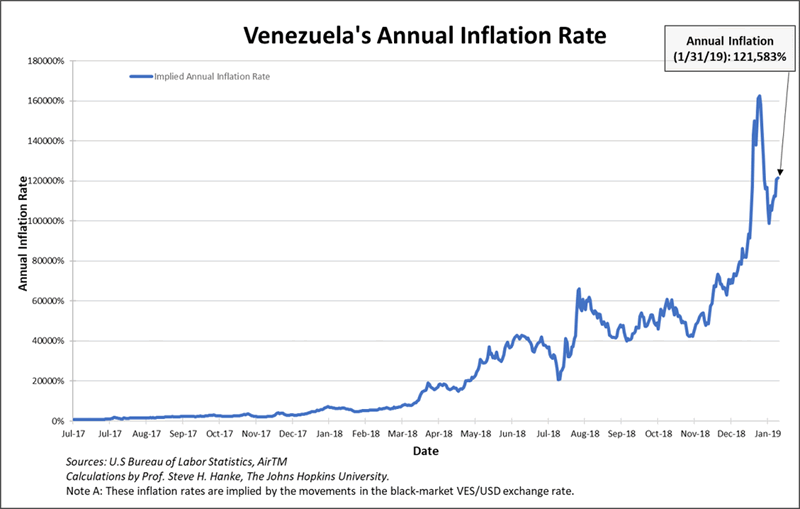 By amassing a huge stock of political capital for slaying the hyperinflation dragon, the politicians who introduce the currency board would be able to then begin to clean up Venezuela’s other messes. But, if the politicians fail to kill inflation first, there will be no successful reforms. That’s why a currency board is a vital first step for Venezuela.